Ever since the first caveman carved a picture into the wall of his cave, people have wondered how they can turn their hobbies and skills into a career. Fast forward a few thousand years and the question remains the same. Humans may have moved on from cave drawings to paintings but the dream still holds true. Musicians, painters, podcasters, YouTube creators – they all create art and, most of them, would like to make that their full time job. However, for every successful YouTuber, there are hundreds that work a 9 to 5 job and find time to create videos in their own spare time, often for little or no money at all. However, just as humans have updated their medium of expression from cave walls to canvas, webpages, and audio files; the way artists get paid for their work has changed as well. There is a wide range of modern ways for artists to earn money from their passion but one method often flies under the radar despite the ability to help artists put cash in their pocket: gift cards. Every artist dreams of being able to focus on their passion full time to support themselves and their families. In this blog we will look at how gift cards can be an additional element to bringing in cash for up and coming creators. Tipping an artist or performer is not a new concept. Pianists have put an empty beer glass on top of their piano for a long time to help their fans show appreciation. Twitch streamers can earn money from their biggest fans through the subscription and donation features. YouTube creators earn money for each view and subscriber they earn. Podcasters will set up Patreon accounts for their biggest fans to help support the program. Some bands have even created Kickstarter campaigns to allow their supporters to help finance the production of a new tour or album. There are a variety of ways for an artist to get paid and further their passion. However, an additional source of income like a gift card tip could be helpful to artists at any stage in their career. An estimated $1 billion worth of gift cards go unused every single year. Many of these gift cards are simply sitting in a drawer or wallet waiting for a purpose. Their owners may not have a great attachment to them and be willing to donate the gift cards to an artist who brings them great content. Not to mention, the request for a gift card tip is a unique way of asking fans to show their appreciation. Many fans have likely been bombarded with requests for Patreon tips, YouTube subscriptions, or regular old cash tips. Not many people have heard a request for a gift card tip. The idea will break through the static and stick out in the minds of people who are asked for their support every single day. Standing out and being noticed is a big win in itself. Once the gift cards are in hand, how can an artist make good use of them? One of the most appealing features of earning a gift card tip is the ability to quickly sell gift cards and turn them into cold, hard cash. EJ Gift Cards buys gift cards from hundreds of retailers, restaurants, and e-commerce stores, then deposits funds straight into the seller’s PayPal account. An artist can use that money to pay their bills, invest in new equipment, begin a marketing campaign, or help support any other aspect of their passion. If a handful of fans donate a gift card each at a band’s show, the money earned when the band chooses to sell gift cards could quickly add up. Some gift cards that come through donations or tips could be immediately usable by the artist. Most of all, to a rising, hardworking artist, a gift card is more than just a plastic card. A gas station gift card could mean getting to the next show. A grocery gift card helps cut the budget at home, allowing an artist to focus more on what they love. A restaurant gift card could mean food on the go between art classes for a hungry painter. The possibilities are endless and an unused gift card could amount to more than what a person has available in cash. Most people would rather receive a $25 gift card than a $5 tip and people who have unused gift cards may miss that card less than they miss a crisp $5 bill. Everyone leaves happy at the end of the day. An artist gets recognized for their hard work while a fan gets to feel good knowing they were able to support someone who provides them with entertainment. Gift cards can also be a powerful promotion tool for an artist looking to build a following and take the next step as a professional. This is especially true when cash may be short. In addition to gift cards earned from tips, artists could also seek donations from businesses to help in a mutual promotion. We know that gift cards help build brand loyalty by driving multiple visits from customers who own a gift card. Many businesses may also want to be seen with an up and coming artist who reaches the same demographics the business is looking to market to. 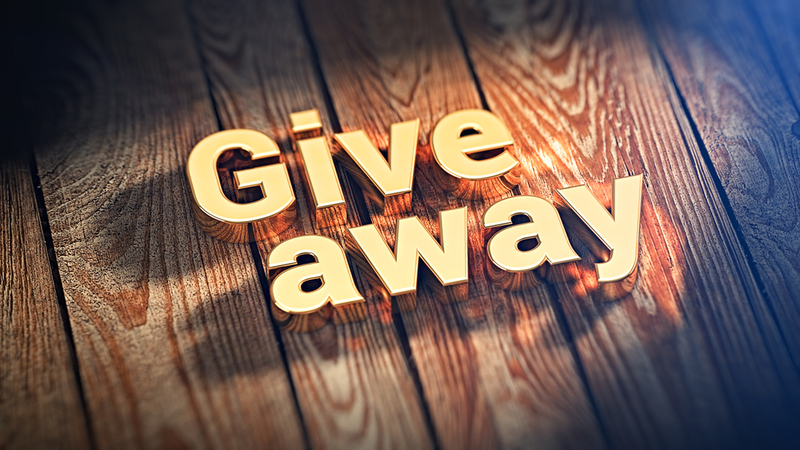 Giving away gift cards on social media is a great and simple way to grow exposure. For example, a YouTube creator could hold a gift card giveaway for all subscribers. Existing subscribers will be excited and feel valued by the content creator they enjoy following. Casual viewers may be convinced to become a full-time subscriber which helps to build a marketing base for the creator. Social media campaigns with a viral element also lend themselves very well to gift card giveaways. Artists can encourage their most dedicated fans to share their content for a chance to win. If the value of the gift card is higher than the typical $25 or $50, then the artist could also run a campaign that includes more audience involvement. A musician could ask their fans to do a cover of one of their songs and share it on social media. Not only does this engage the fan but it also exposes the fan’s video to a social media audience that may not have been aware of the artist previously. In-person giveaways are also a popular way of getting fans excited. A painter that hosts a paint night event could offer gift cards to the first few people that sign up for their next event. This also ties in very well with brick and mortar businesses. If the paint night is held at a local bar or restaurant, the establishment could offer up the gift card to help drive registration for the event at their location. Extra excitement could mean more attendance which benefits both the business and the artist. It’s amazing when everyone wins, right? Finally, gift cards can be given away to dedicated fans that go above and beyond. With cash being short for many artists starting out, a gift card can be a great way to reward the help of a fan that donates their time to volunteer on behalf of an artist. A great example of this would be super fans that volunteer for a band to sell merchandise at a show. Their help is invaluable to the band and should be rewarded. Even if a fan is doing it out of the goodness of their heart they will still appreciate the recognition from the band. After all, they took care of the business side of things while the band did what they do best: entertain people. We know that artists can sell gift cards to make cash. They can also spend the gift cards to help themselves grow and handle expenses. Artists can even give away gift cards to build excitement. Another option is to trade gift cards. This would be great in a situation where the gift cards in hand are of no use to the specific artist but may be desirable to someone else. EJ Gift Cards accepts hundreds of gift cards from some of the biggest brands. However, an artist may earn a gift card through a tip or donation that may be for a local store not accepted by gift card buyers and unusable by the artist themselves. That’s not to say the gift card isn’t valuable. Quite the opposite, in fact. Gift cards can be traded for other gift cards that would be usable for turning into cash on several gift card marketplaces. There’s no complex paperwork required; simply find someone who would be willing to trade and make the swap. How easy and convenient is that? There’s also the option that some business owners may be interested in trading services in return for gift cards they could use personally. For example, if a band needs flyers designed for an upcoming show, they could trade some gift cards they have on hand to a local designer that would be willing to create the design. It’s a great example of local artists working together to help each other achieve their goals. At the end of the day, everyone want to use their skills and have their passion projects be seen. Working together can give a huge boost to one another’s success. No one said this would be easy. Everyone knows that success in the arts is a long, tough road that requires a lot of hard work and passion. Thinking outside the box could be the key to getting over that next hurdle and discovering the incredible feeling of being able to pursue your hobby as a career. Asking for gift cards is a unique way to set yourself apart from everyone else that’s trying to make a living as a content creator, whether that be music, paintings, YouTube videos, Twitch streams, or something else. Not only is a gift card tip a unique way to earn a tip; it’s also a very flexible and convenient way to choose what you want to do with your tip. We discussed promotional giveaways that allow cash strapped artists to grow a viral following through social media or in person. Gift cards are also a great way to recognize fans that have been there since day one and go above and beyond to support the artist they love. As well, gift cards offer an easy way for businesses and artists to support and promote each other. A business can provide an artist with a prize to give their fans while also getting their name and brand out there to a new, untapped audience. Of course, cash is king. The best thing about gift cards is that they can easily be turned into cash for an artist to do anything with. Gas, food, new equipment, promotional materials, and more can all come from what was originally a simple gift card tip. For those that want to sell gift cards, there’s EJ Gift Cards. All you have to do to earn money with unused gift cards is browse the list of gift cards accepted from hundreds of retailers, restaurants, e-commerce stores, and more. Then, log in and input your information. An offer will be sent to you letting you know the worth of your gift card. Best of all, there’s no obligation or fee to find out what your gift cards are worth. Don’t like the offer? Keep the gift cards for yourself! If you love the offer, go ahead and accept it in order to turn those gift cards into cash! EJ Gift Cards pays out directly to you PayPal account so the money is ready to be spent online or sent to your bank account. If you’re looking to sell gift cards then look no further than EJ Gift Cards.